This is an image of The Crescent Nebula in the constellation of Cygnus. 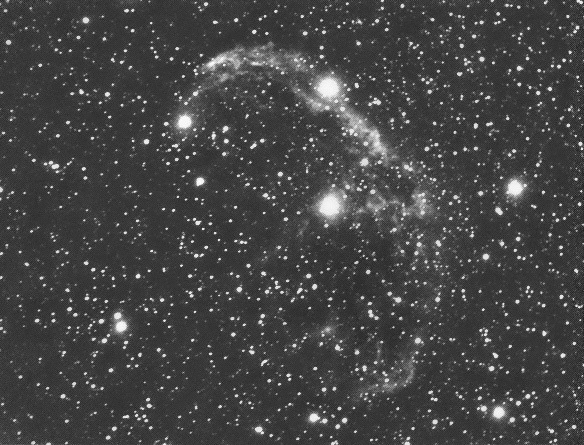 This was quite a tough nebula to image as it is quite large and has a fairly low surface brightness (mag 10). Initially it wouldn't fit in the FOV of my SC3 and MN56 but fortunately about 6 months ago I had bought a cheap ATIK 0.5X focal reducer. My MN56 effectively became a 381mm F/L at F3.